Here at Chandler's Medical Supply we offer the widest variety of toilet and bath saftey equipment. From showerchairs, seats, vanity seats, benches, tweak showers and more. Call us today or come into our Chandler location to view our showroom. 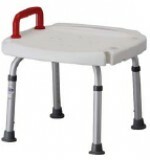 ADJ Shower Bench W/Red Handle Each ..
Economy ADJ Shower Bench Aluminum, NOVA Brand, 300 Lbs Max. 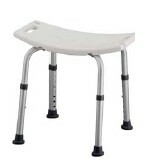 Economy ADJ Shower Bench Aluminum, NOVA Brand, 300 Lbs Max. ..